At their quarterly meeting last week, the Trustees of the Stirling Smith approved the loan of this painting and three others, for a five month period in 2015 -6 to the prestigious Drents Museum, Assen, in the Netherlands. Drents is working with major Scottish galleries to mount an exhibition on the Glasgow Boys and highlight their relationships with their European contemporaries. Glasgow Boy, James Paterson R.S.A., R.W.S., P.R.S.W. (1854-1932) was born in Glasgow, the son of a wealthy businessman. His father did not at first encourage his interest in becoming an artist, but eventually provided a small allowance to enable him to go to Paris. He studied in the studios of Jacquesson de la Chevreuse and Jean Paul Laurens during his annual winter visits to Paris. On his return to Glasgow, he became a leading member of the Glasgow School of artists with his friend and sketching companion, W. York MacGregor. 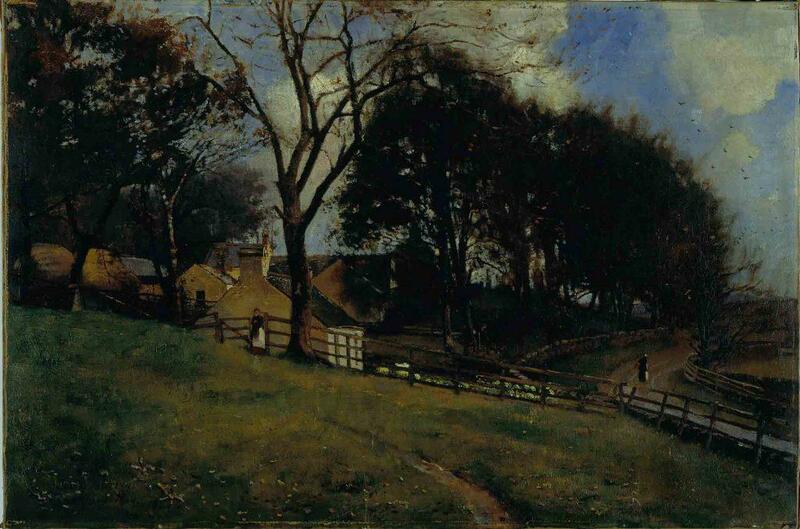 Paterson lived and painted in Moniave for 22 years and Dunglaston is one of his finest pictures from that time. York MacGregor ‘the father of the Glasgow Boys’ lived in Bridge of Allan for 28 years, and is buried in Logie Old Kirkyard. Few of the Glasgow Boys lived or painted in Glasgow. Dumfries and Galloway celebrate their art heritage, which includes this painting, in the Artist’s Footsteps website and in the ‘Kirkcudbright Artists’ Town’ exhibitions. Stirling has more cause to celebrate as an Artists’ Town, and should take note.